With our friends at Pro Evo & You, we were able to grab a few words with Rednek, the man behind one of the catchiest songs you'll ever hear on a Pro Evolution Soccer title. Your song 'They Call Me' is a big part of the PES 2013 soundtrack. How did this come about - did Konami come to you or did you go to them? Amazingly, Konami came to me. They loved the track and wanted to include it in the game. Why do you think "They Call Me" is the perfect soundtrack for Pro Evolution Soccer? I think it's catchy and is easy on the ears. There's nothing worse than playing a game with music that annoys the hell out of you! Did you write the song yourself, or did you have any help - if so, who? I wrote, produced and vocalised it all by myself. I also wrote and directed the song's official video. Were you aware of PES before your song became part of the game's official soundtrack? Of Course! Although I have to admit that I'm really crap at football games. Do you manage to play video games in your spare time? If so, which ones do you enjoy most? I don't have much time to play at the moment, but I like Prototype 2... and a bit of Call Of Duty. Do you play PES 2013 at all? If so, how often do you play it and what's your overall opinion of this year's game? I haven't played it yet! But, when I do manage to get a copy, I promise to film myself playing it whilst singing along to my song... and I'll upload the footage onto my YouTube channel! Moving on from video games, do you have a favourite football song? [laughs] ... You wouldn't even catch me singing in the shower! My dad was never into football, so unfortunately, I know nothing about it. I'm just music inside and out. Do you have any plans to make a song for the 2014 FIFA World Cup? If I had the opportunity, I would definitely do one. What are your plans for the future? Are you going on tour? Are there any gigs our readers should know about? I'm doing France on April 26th, and also going to the US in May - but I want to tour the UK so badly! 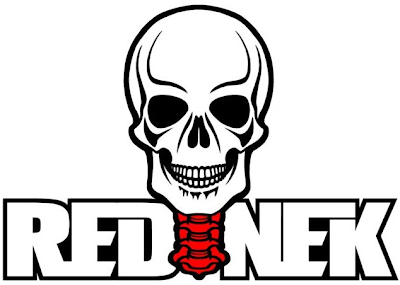 A big thanks to everyone who sent us their questions, and of course, an even bigger thank you to Rednek for taking the time out to talk to us. As for future interviews, we're planning to sit down with someone who's been an integral part of PES since the series' leap from PS2. To stay up-to-date with our next Q&A session, and everything else PES, make sure you're following us on Twitter at @onlyproevo.